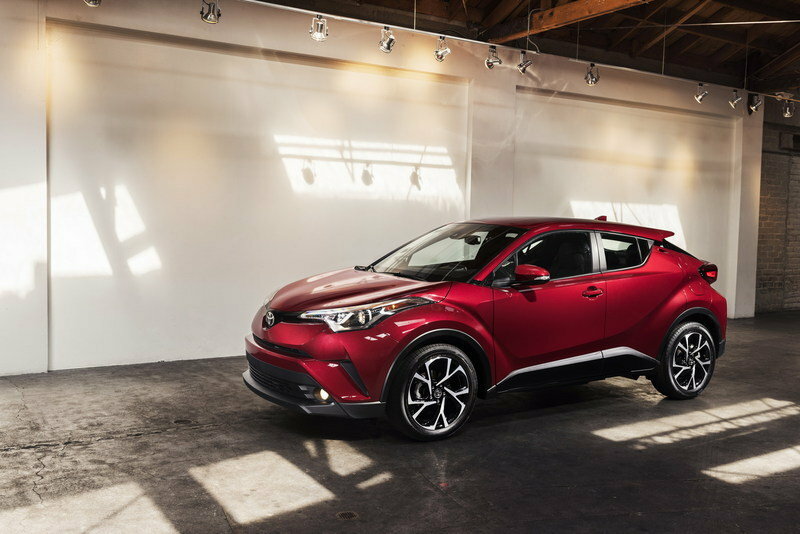 Launched in 2016, the Toyota C-HR is becoming one of the company’s most popular crossover. It has to do with its affordable sticker, compact size, and fuel-efficient engines, but the C-HR also stands out thanks to its outlandish and youthful design. 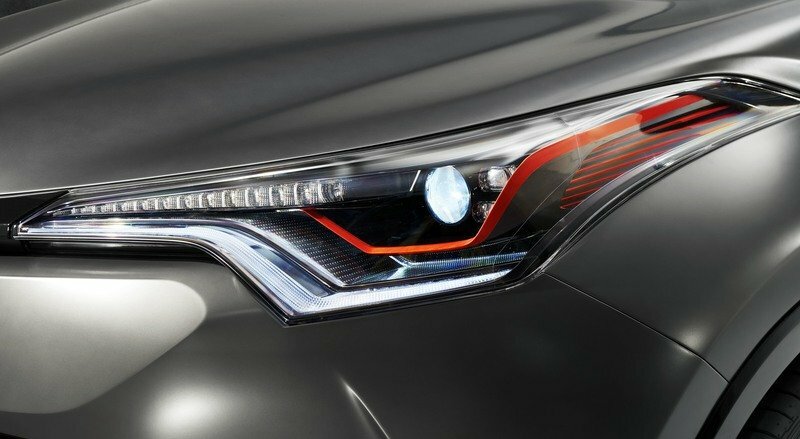 However, a team of designers from ED2, Toyota’s European design studio, thinks that the crossover isn’t wild enough. 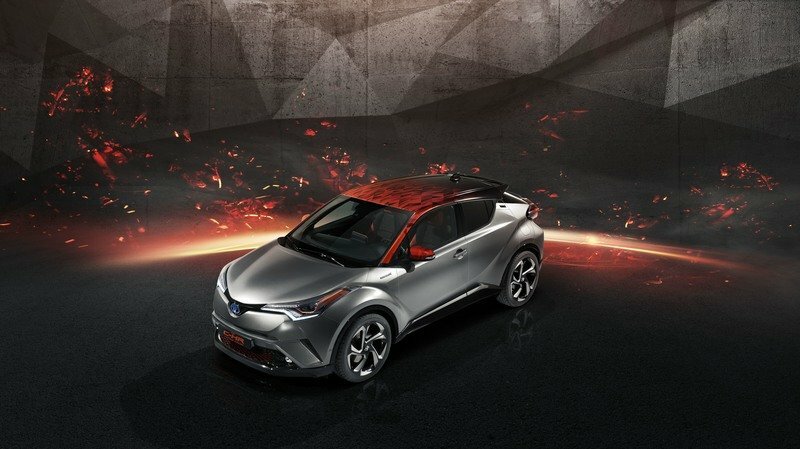 As a result, it created C-HR HyPower Concept with added features inside and out and a more powerful hybrid drivetrain. Unveiled at the 2017 Frankfurt Motor Show, the HyPower Concept is pretty much a customized C-HR. 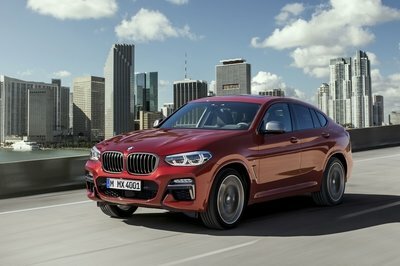 The goal was to create an even more impactful and emotional styling for the already wild-looking crossover, but there’s no official word on whether this project will spawn a higher performance version or a customization program. Still, the C-HR HyPower Concept is an interesting take on the tiny crossover and the design is more than doable in case Toyota votes in favor of a bespoke program. 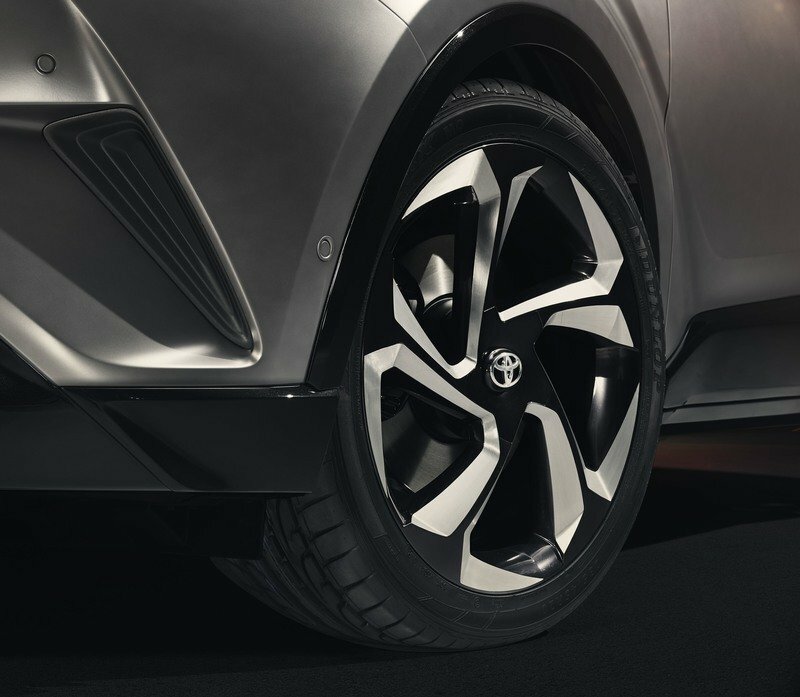 Although the concept car uses the same sheet metal as the production model, Toyota’s seemingly minor changes have a big impact on the C-HR’s exterior. In order to enhance the interplay between the sharp lines and deeply sculpted, muscular surfaces, the firm created a new paint called Dark Carbon. Essentially a silver hue in a matte finish, it’s paired with gloss black front lip spoiler, nose grille, and wheel arch trim for a stealthier appearance. The HyPower Concept also features dark chrome in the headlamps, window frame, and 20-inch alloy wheels, but the Burning Orange highlights in the lower grille, A-pillars, side mirror caps, and roof provide a dramatic contrast. The latter is particularly interesting, as it has a geometrical pattern with various shades of orange. The roof also becomes darker toward the rear, to the point where it matches the glossy finish of the spoiler and the C-pillars. Pretty cool! The dark vs orange theme continues inside, with the black seats featuring orange headrests and bolsters. Bright Burning Orange yarn was also used for an asymmetrical quilting pattern on the seatbacks, cushions, and door panels, giving the cabin a premium, Bentley-inspired look. The drivetrain was also enhanced for this concept, but unfortunately Toyota is keeping all the details under wraps. All we know is that the HyPower Concept is equipped with a hybrid powertrain and that it delivers more than the 122 horsepower in the standard production C-HR. 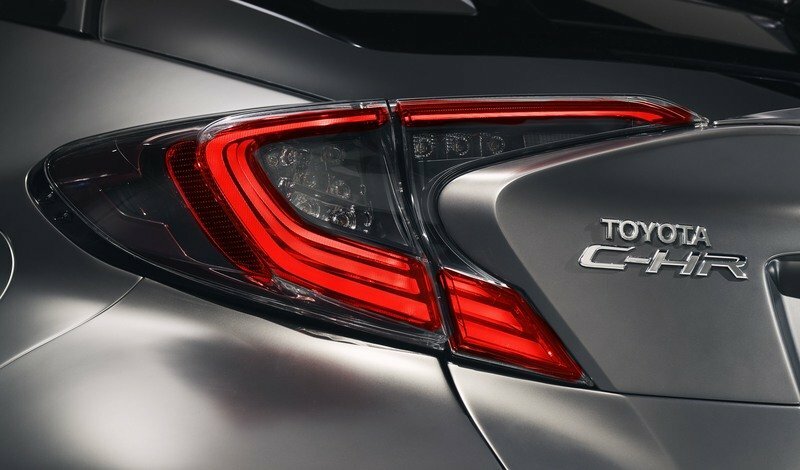 However, Toyota points out that higher performance hybrid options will be made available in all of its core models and that further information will be revealed in early 2018. 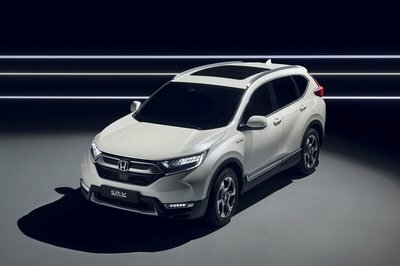 All told, it’s safe to assume that a more powerful hybrid C-HR will become available next year. Read our full review on the Toyota C-HR. The Toyota C-HR has enjoyed strong success since its launch at the end of 2016, Toyota’s entry into the mid-size crossover market making an immediate impact with its striking styling and rewarding driving character, founded on its Toyota New Global Architecture-based (TNGA) platform. The availability of Toyota’s latest-generation hybrid powertrain has also proved highly popular with customers, commanding the majority of European sales (more than 75 per cent). The production model has provided the inspiration for Toyota designers to explore the possibilities for a higher powered hybrid version, with an even more impactful and emotional styling treatment. The result is the new Toyota C-HR Hy-Power Concept, which makes its world debut at the 2017 Frankfurt motor show, created by a team at ED2, Toyota’s European design studio in the South of France. 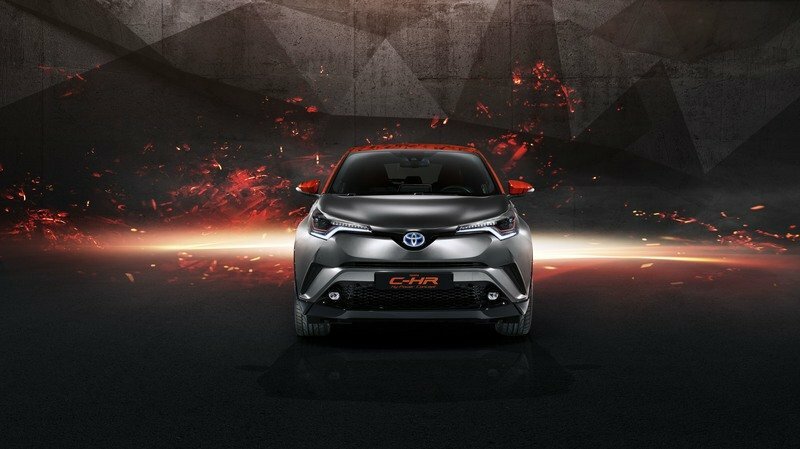 Toyota’s intention has been to develop the styling of the Toyota C-HR to produce a very desirable vehicle that connects even more strongly with customers who have highly individual tastes and lifestyles, emphasising its stylishness and fun-to-drive character. Further exploring the “diamond” architectural theme of the production model, the new concept displays a high quality execution and attention to detail throughout. The design also reflects the presence of a more powerful hybrid powertrain, heralding a future expansion of Toyota’s hybrid programme. 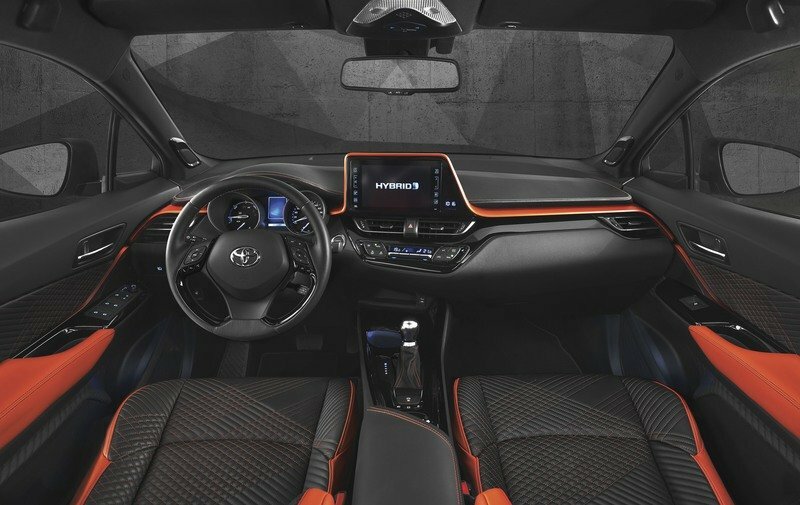 The interior carries forward the exterior themes to sustain the power of the concept’s design with a tone-on-tone approach the combines black upholstery and trim with Burning Orange details. The highly supportive seats are finished in black leather with orange headrests and bolsters. Burning Orange yarn has been used to create a unique, asymmetrical quilting pattern of multiple diamond shapes across the seatbacks and cushions. The design is replicated on the inner door panels, which also feature orange arm rests. A further flourish is provided by the orange finish for the highlight trim that extends the full width of the instrument panel and frames the Toyota Touch® 2 multimedia touchscreen. 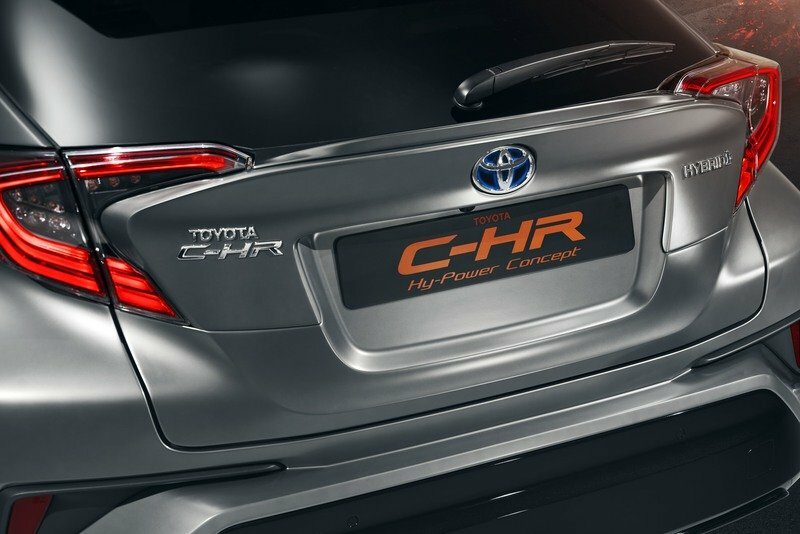 The concept has been designed around the use of a new hybrid powertrain that offers more power and performance than the 122 DIN hp system featured in the current production Toyota C-HR. This reflects a significant and strategic future development of Toyota’s world-leading technology that will higher performance hybrid options being made available in all its core models. More details regarding this expansion of hybrid will be revealed early in 2018. Lance Scott led the team which produced the Toyota C-HR Hy-Power Concept. He explains how the project was delivered. What contribution did the ED2 design centre make to the production Toyota C-HR? Lance Scott: We were involved in the early stages of the project for both exterior and interior design. 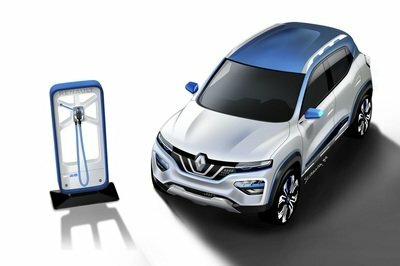 We developed the original concept exterior that was shown in Paris in 2014 and revised it for the Frankfurt motor show in 2015 as a preview of the main exterior design themes. For the interior design, our proposal was the direction selected during the internal design competition phase and was developed for production. The production model already has a dramatic and highly distinctive design – what impact did this have on producing an even stronger look for the HY-POWER Concept? When we started the project, we knew that we didn’t have to make any dramatic changes to the overall design. 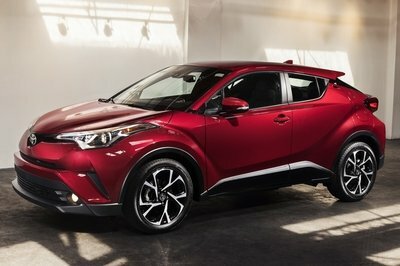 What we wanted to do was almost to purify or concentrate the unique value of the Toyota C-HR and see how we could give it further emphasis by using a new and unique colour and interior trim execution. Did the status and success of the model have an influence on how you approached the project? The fact that the Toyota C-HR is a key model that was recently launched and has been selling well made us aware that we shouldn’t cause any confusion with the show car. We went back to the original brief and the target customer profile to identify how we could accentuate the design while remaining faithful to its original direction. What challenges and opportunities did the show car design process present? The challenge was not to stray away from the qualities that define the Toyota C-HR, but to add to them in a fresh and original way. 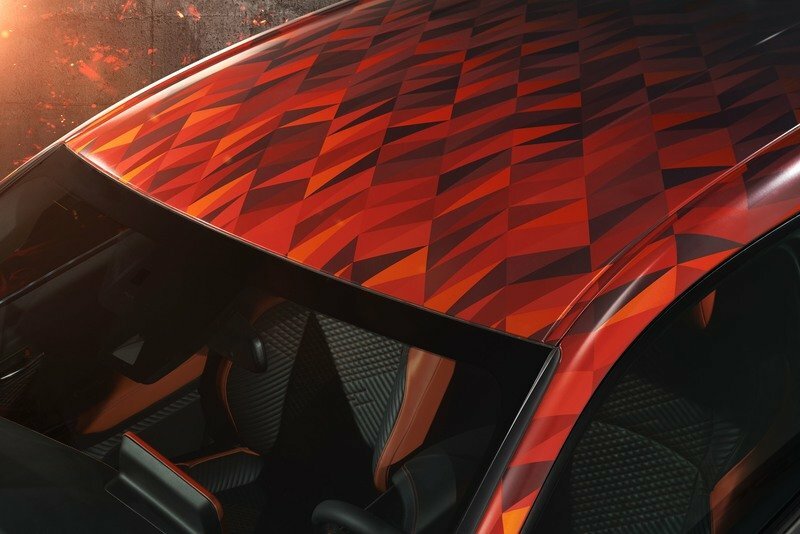 For example, we wanted to retain the high quality of the production car, so we explored different ways of expressing uniqueness in the interior. 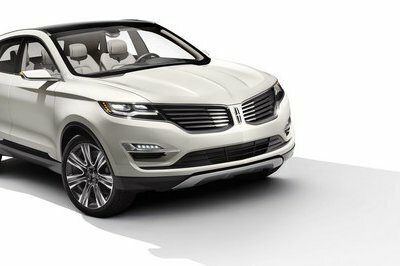 By using a high-quality leather trim with a unique gradation yarn and stitch patterns, were able to build on the fundamental qualities of the interior ambience. How did you interpret the Toyota C-HR’s diamond design theme? The diamond theme prompted us to think about the process by which a diamond is made from carbon. Carbon itself has very interesting qualities and the led us to producing a new fluid carbon exterior colour treatment with a look that is not matt, but not gloss in appearance either. This in turn made us think about molten materials, such has lava, which presents a powerful contrast between its cooled upper surface and red hot liquid centre. This was the inspiration for creating the roof colour and a dynamic pattern that progresses from vivid red to black.